As the Fire Chief, I am privileged to lead a fire service organization comprised of a committed staff whose goal is to provide the highest level of service available while maintaining fiscal responsibility. Over the past several years, the fire department has secured over 1.5 million dollars in federal, state, and local grants to purchase state of the art equipment. This equipment allows the men and women of the Wilmette Fire Department to fulfill their commitment to protecting the lives and properties of the citizens and visitors of Wilmette. Above all else, we honor the duty to our profession, respect and compassion for all, and a commitment to excellence. Our staff is encouraged to advance their education throughout their carrier and have achieved advanced degrees in numerous fields of study. Each firefighter holds a paramedic license from the State of Illinois and an Advanced Firefighter designation from the Office of the State Fire Marshal. The required continuing education for these programs is over 300 hours per year. The Wilmette Fire Department is a four-time Accredited Agency through the Center for Public Safety Excellence. We also maintain a rating of 2 from the Insurance Service Office, placing our fire department in the top 3% nationwide. Finally, I would like to thank the citizens of Wilmette, the Village Board of Trustees, and the Village Manager’s Office for their continued support. 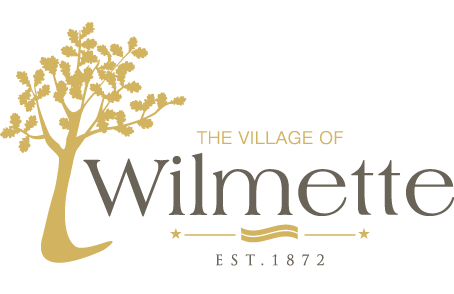 This close relationship allows us the ability to achieve our goal of providing the highest level of service possible for the citizens and business community of Wilmette.